When Susan Fernstrom got her developmentally disabled daughter, Holly Harrison, into a group home in Danvers in June of 2015, she thought it would lessen some of the growing burden on her of caring for members of her family. 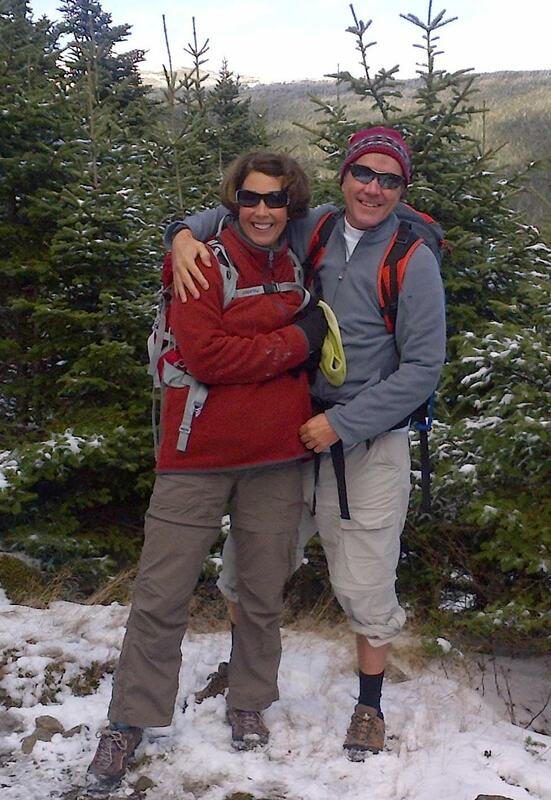 Susan’s husband, Patrick, was terminally ill with a brain tumor and needed his own intensive care. He died in December of that year. Holly, who is now 39, had been born with Galactosemia, a rare genetic disorder, that causes intellectual disability and other complications, including coordination issues, and requires a controlled diet. The group home is run by Toward Independent Living and Learning, Inc. (TILL), a corporate, nonprofit provider funded by the Department of Developmental Services. The residence was brand new and beautiful, and centrally located in the downtown in Danvers, near the mall. But almost immediately, Susan became concerned when she realized there were no meal plans for any of the five women in the house. Two of the women are diabetics, and, like Holly, require special diets. Susan Fernstrom and her late husband, Patrick. They arranged for their daughter, Holly’s, admission to the TILL-operated group home six months before Patrick died. Beyond that, Holly wasn’t getting fed regularly. She was not fed or given water for up to nine hours at a time, Susan said. On many occasions, the staff forgot to give her lunch, particularly on weekends. In one instance, Holly was given a sandwich by the staff to eat that contained uncooked bacon. The home wasn’t kept clean. There was clutter left outside Holly’s bedroom door and mold on the bathroom shower curtain and on the floor of the shower. “The bathroom was often filthy,” Susan said. “The staff would clean it when they knew investigators were coming, mostly due to complaints from me,” she said. Raw meat was often left in the sink. In addition to the mold and clutter, it took months to hook up a shower curtain rod to the bathroom wall. There was only one working light in the basement even though that was an area set aside for storage of extra clothing for Holly, which Susan frequently had to retrieve. Also, there was furniture and a large carpet roll placed in way of the clothing bins. But when Susan raised these issues, she never anticipated the push-back she would receive, not only from the staff, but from Dafna Krouk-Gordon, the president of TILL. As of last August, Susan found herself banned under a written directive from TILL from entering the group home and therefore from being able to check directly on the care there. Then, on March 20, Krouk-Gordon notified Susan in writing that her daughter would have to move out of the residence as of the end of April. The written notice did not accuse Susan or Holly of causing any disruption in the operation of the residence, but rather stated that Holly must move because the group home could not accommodate her need for assistance during nighttime fire drills. Susan believes the real reason for the eviction notice was that she had raised issues of inadequate care and poor conditions in the residence. We believe the eviction notice violates additional DDS regulations, which require a 45-day notice and the guardian’s consent to any move. “I feel sick all the time and can’t sleep or eat,” Susan said. I attempted to contact Krouk-Gordon both by telephone and by email. My email message, which I had sent on April 16 to her email address listed on the TILL website, was blocked. I then resent my query to other officials at TILL, but to date, no one has responded to it. Throughout the ordeal, Susan said she has felt a lack of support from DDS officials whom she believes have allied themselves with Krouk-Gordon. She contends that rather than addressing her concerns, Kelly Lawless, DDS northeast regional director, has appeared to support Krouk-Gordon’s intention of evicting Holly from the residence. Susan said that Holly has a strong emotional attachment to the other women in the group home, and that she does not feel, as her guardian, that it would be in Holly’s best interest to be moved to a place she is not familiar with and in which many of the same problems might reappear. What she would like to see happen is strong pressure put on TILL by DDS to fix the problems in Holly’s current residence. We have heard of no evidence that Susan ever acted in a disruptive way either inside the home or in any other location. It appears that the only reason for TILL’s prohibition against her from entering the home and subsequent notice of eviction of Holly is that Susan has pointed out deficiencies in the care and conditions in the residence on a number of occasions. Susan said she has both met and had a conference call with DDS Commissioner Jane Ryder, and that Ryder seemed sympathetic, particularly to her concern about being banned from the residence and Holly’s potential eviction. She said Ryder assured her early this month that she would issue a directive to Lawless “to work on these issues,” and that the directive would address the ban on entering the residence. Susan said that at one point in that conversation, Lawless stated that an alternative residence for Holly had been located in Gloucester. Susan told her that as Holly’s guardian, she wanted to live close to her and that the Gloucester location was more than an hour away. But Susan said Lawless not only appeared unsympathetic to her concern, she admonished her for voicing it, saying she was “‘appalled that this is all about you, Susan, not wanting to drive. '” Susan responded that it was not about her, but about her need, as Holly’s guardian, to be near Holly. Last Tuesday (April 17), I emailed Ryder, asking if she would respond to those and other concerns and questions we have raised about this case. To date, I’ve received no response from Ryder. In a response to Lawless, Susan said she was pleased to hear about the planned visits and review by DDS. But she told Lawless she remained concerned that many of the issues she has raised, such as the staff’s failures to feed Holly adequately and regularly provide water to her, may not be observed by the inspectors. Lawless’s email did not state that Susan would be allowed inside the residence during those visits. You (Susan) will not go into the residence to bring items to Holly’s bedroom or go into the kitchen. Anything you need to deliver to the residence must be given to the staff or the manager and they will see that it is properly put away. We ask that you not go inside the home unless there is a planned event or meeting that has already been established with the manager ahead of time. Susan and the Residence Manager will communicate by telephone once per week at a time that is mutually agreed upon. It is essential that you speak to the manager rather than speaking to staff directly. Only the manager can make house plans and follow through with scheduling needs. We ask that you only communicate with the nutritionist by email given that the time is limited and she receives multiple calls daily from the house as needed. Since receiving the directive, Susan said she has been banned even from waiting for Holly in the foyer of the house, and must stand outside, even in the winter. In addition, the weekly phone calls with the house manager have been canceled, she said. And she has been told not to contact the nutritionist at all. As Holly’s guardian, it is Susan’s legal duty to oversee her care and advocate in her best interest. Blocking her from having contact with her daughter inside her residence impedes her ability to carry out her legal duties as guardian. Susan added that she personally purchased needed cooking equipment for the entire house, and brought the residents and staff fresh corn on the cob, strawberries and apples from a farm over the summer. In other cases that we have investigated, we have found that the statement that a family member was making residents uncomfortable was often used as an excuse for restricting their access to persons living in provider residences. Susan said that the directive banning her from the residence appeared to follow directly from checks she had been doing under an agreement with the staff of the cabinets and the refrigerator in the kitchen “to make sure the food they were buying for Holly was dairy free.” After doing the checks “for about three weeks and informing the staff that there was dairy in multiple food products, including food bought specifically for Holly,” Susan said she received the directive denying her access to the kitchen and entire house. The ban on allowing her into the house has made it particularly difficult to get Holly ready for outings and trips home, Susan said. The staff would frequently forget to pack needed items such as underwear, pants, pajamas, and medication. I want the ability to visit Holly on any day of the week or (at any) time as long as it is not disrupting the functioning of the home, and set visitation times will not allow that flexibility nor does that allow for visitation to the maximum amount extent possible. My daughter is not in a prison, this is her home and Holly has the right to visit with friends and family as the regulations clearly state. I also want the ability to sit in the living room with Holly or if we choose or walk into the kitchen with her as any other house guest would do and as other family members are permitted to do. When I drop Holly off after a visit outside the home I want to walk inside the front door and stand in the foyer area, as any other parents are allowed to do. I think it’s also important to note that as Holly’s guardian, I have a legal duty to see Holly’s living conditions to ensure her wellbeing. Susan said that on April 1, she was given permission to enter the residence for an hour because she needed to help pack Holly’s clothes for a trip to Florida. After being given a time for the visit that she couldn’t meet, she finally won approval for one hour on that Sunday. Susan said she pushed back and said she needed two hours because Holly needed to try on clothes to see what fit. She also needed to check to make sure Holly’s medication was correct. Susan said that when she arrived that Easter Sunday at the residence, Krouk-Gordon arrived as well, and then spent some of her time right outside Holly’s room. Susan said Krouk-Gordon’s close presence made her feel uncomfortable and that she believes it was meant to intimidate her. Krouk-Gordon’s notice to Susan that Holly must leave the residence as of April 30 did not include any allegations that either Holly or Susan had acted in a disruptive manner. Instead, the March 20 eviction letter stated that Holly must leave because the home could not accommodate her need for assistance during nighttime fire drills at the residence. Susan said that Holly needs assistance because her blood pressure drops significantly if she is woken up suddenly. As a result, she can suddenly faint and fall unless she is given water immediately after waking up. Last November, Holly did fall after having been suddenly woken by the fire alarm, which had signaled a middle-of-the-night fire drill. She suffered a concussion and a black eye in the fall. Susan said the staff made Holly finish the drill immediately after she regained consciousness, and did not take her to the emergency room. The incident and injury were not reported by the staff to the Disabled Persons Protection Commission, as required by law. And Susan wasn’t notified about the injury until mid-morning the following day. Susan contends that the danger posed by the fire drills could be solved either by adding a staff member to the group home at night to assist Holly, or by moving her bedroom to a currently empty room on the first floor in which she would have time to quickly drink a small bottle of water and still be able to exit with assistance within the required 2½ minutes. The front door to the residence is right outside that downstairs room. Susan said, however, that neither TILL nor DDS have expressed support for her suggestions. In failing to alter the existing fire drill policy, DDS and TILL would appear to be in violation of DDS regulations, which state that “providers of group homes “shall assure that …strategies are developed for meeting the specific and unique safety needs of each individual” (my emphasis). In addition, the regulations state that “for sites where residential supports…are provided, safe evacuation is defined as assuring that all individuals can get out of the home in 2½ minutes, with or without assistance...” (my emphasis). The implications of the regulations in this regard seem clear and unambiguous to us. The provider management cannot legally evict a resident because the home is not able to serve that resident in compliance with the regulations. The management instead needs to take steps to comply with the regulations. It also appears to us that Krouk-Gordon’s March 20 letter notifying Susan of Holly’s pending eviction did not comply with DDS transfer regulations, which require that Susan be provided with an official 45-day notice of a proposed transfer out of the group home. Under the regulations, the written notice must include a statement explaining how the proposed move would result in improved services and supports and quality of life for Holly. The notice must also specify the location of the proposed home, include a statement that the parties may visit and examine the proposed home, and must further include a request for consent by Susan, as Holly’s guardian, to the proposed transfer. None of those statements was included in the March 20 letter. As such, the letter does not, in our view, constitute a legal notice under the regulations to Susan of a pending transfer from the residence. Susan said that despite her efforts to work with TILL and with DDS to address the nutrition issues in the residence, TILL staff and management have not shown a consistent willingness to work with her. Susan said that while the staff initially voiced agreement with her requests to improve Holly’s nutritional regimen, there was no follow-through. She personally developed recipes, grocery lists, and menus for all the residents covering six-periods. Yet, the items were often not purchased, and the recipes were not followed. The group home at first agreed to allow a DDS nurse to work with Susan to put menus together. But then TILL management suddenly objected, and the nurse was taken off the project. “TILL didn’t like that she was doing the menus,” Susan said. DDS then assigned a nutritionist to work with Holly, but the nutritionist’s approved hours were limited. Even with the system of checks that Susan and the nutritionist provided, the staff on more than one occasion bought a type of cheese for Holly that is strictly prohibited from her diet. “They weren’t following the recipes,” Susan said. Susan said the staff recently took Holly to her primary care doctor for an exam, but had given her nothing to eat or drink that day. The doctor was so concerned, she recorded it in Holly’s medical record. In another incident, the group home staff gave Holly a sandwich for lunch that included raw bacon. The manager at her work site, which is operated by The Northeast Arc, was so concerned, she wrote up a report of neglect, Susan said. The September 5, 2017, report, which was provided to Susan by the work site, stated that, “During lunch, Holly had a BLT sandwich and she pulled the bacon from it ‘to save the best for last,’ and we noticed that it was raw.” The worksite staffer who wrote the report stated that the worksite staff cooked the bacon in a microwave and monitored Holly for illness. Other than notifying Susan and the group home manager, the worksite took no further action in the matter. Susan noted that she has been told that the families of the other residents in the group home are largely happy with the care there. But that may be, she said, because the other residents are higher functioning than Holly. The parents of one of the residents lives out of state, while another resident was working toward getting her driver’s license. Another resident is capable of using Boston’s MBTA system. Unfortunately, this is the kind of case we hear about all too often. As we have said many times, the DDS group home system is broken. It is long overdue that the Legislature and its Joint Children, Families, and Persons with Disabilities Committee begin to address these issues. In January, the Children and Families Committee held a hearing in which committee members gently queried Ryder about reports of widespread abuse and neglect in the DDS system. A large group of families and guardians attended the hearing, but none of those people were allowed to testify publicly. We have to wonder what it will take to bring about needed action in this and so many similar cases.